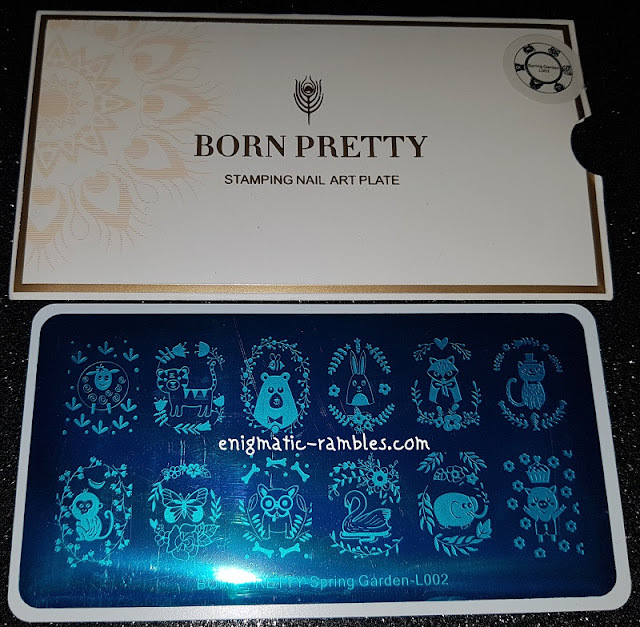 Born Pretty Spring Garden L002 is one of Born Pretty Stores larger rectangle plates, these are 6cm. 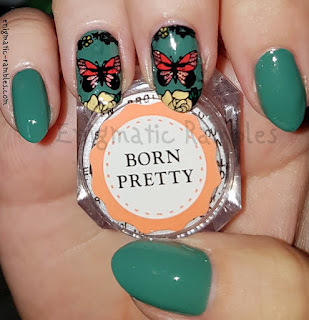 Spring Garden L002 is designed for larger nails and has 12 images on it. As you can see all of the images stamped across really well, the plate was very easy to work with. 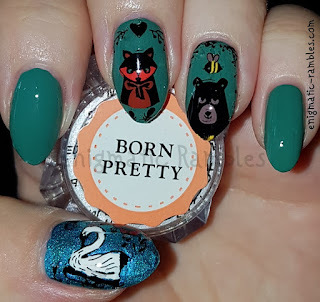 My nails are currently around 15mm long, I think 2cm long nails would be idea for these larger images however as you can see from the nail art your nails don't have to be really long for them to work.